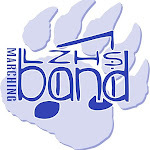 Band Camp Dates are set for August 6-8 back at Carthage College in Kenosha. Please set these dates aside and they are critical to our success each year. Percussion will also be in the Wed/Thur/Mon/Tues prior to camp. and Freshmen will have marching clinics on the Thurs/Mon prior to camp.